Riding is a fun activity for many, and there are a million reasons why GoPro Bike Mounts could be necessary. The fun could be doubled knowing that you will have an opportunity also to capture videos and photos. GoPro Bike Mounts will ensure that you ride comfortably and at the same time record every moment if your journey. The mount was firmly held your camera against your bike. It will be strong enough not to let your camera fall. There are features to consider when buying a bike mount. The material which determines the durability is one of them. Others include the camera in hand, the size of the handlebar of your bike among others. 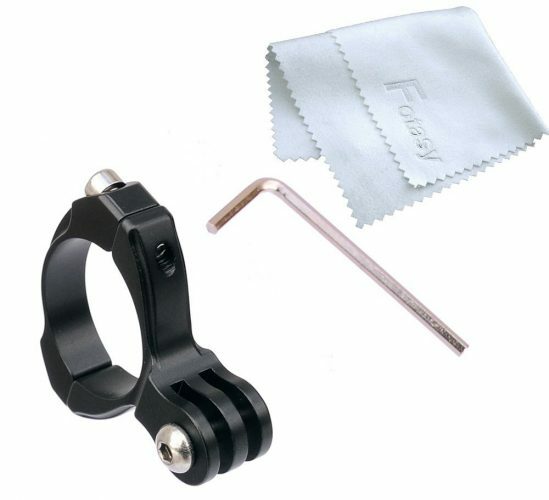 Fotasy trademark has this big thing as far as GoPro Bike Mounts are concerned. The features make it great. If your handlebar is between 30.0 and 31.8, look no more because this one will lock securely around it. The CNC machine aluminum eliminates any shaking or vibration. It is easy to install. You just remove the bolts with the hex key and attach to the handlebar. This GoPro Bike Mount comes with a Hex Key and an Aluminium Mount. In addition to that, a premier cleaning cloth is included. Neewer brand is in line with many users’ expectations and requirements with this particular product. Some features have made it a number one choice of many. Ranges between 3mm and 31.8 mm for the handlebar size. It is an aluminum alloy production. In the list of the Top 10 GoPro Bike Mounts, we have another fantastic product by ChromLives. This is a very reliable Bike Mount. 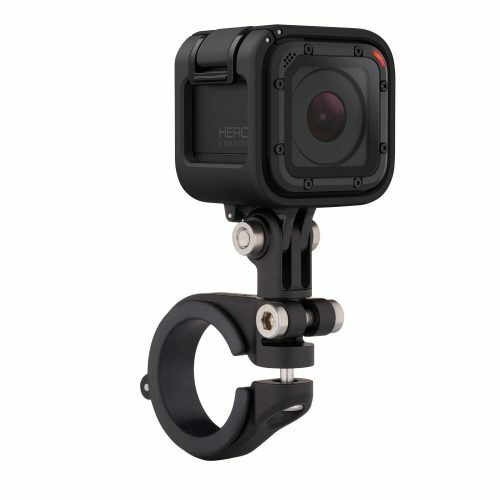 It is compatible with the GoPro Hero and Action Cameras. For optimal viewing, the ball head can be rotated in various angles as the user would wish very easily. To attach the camera, a tripod comes hand in hand with the bike mount. Both rubber and sturdy pomp plastic materials are used for durability as well as lightness. Variety of configurations are supported by the 1/4 inch thread screw which comes with it. 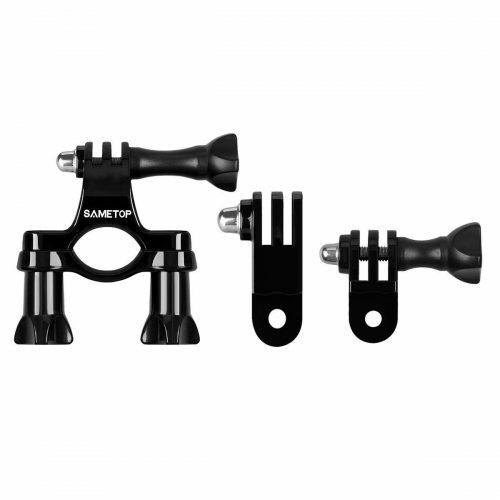 In case you are interested in the wide use and compatibility, consider settling for Sametop Bike Handlebar Seat post-Mount. It has impressive features which make the product alluring. Its 3-way pivot one allows for adjustment in three ways to get that angle that you desire. If you choose to put it on handlebars, seat post or poles there is nothing to worry about. It will be okay. Can be used when mountain biking, bicycling, motocross among other action sports. 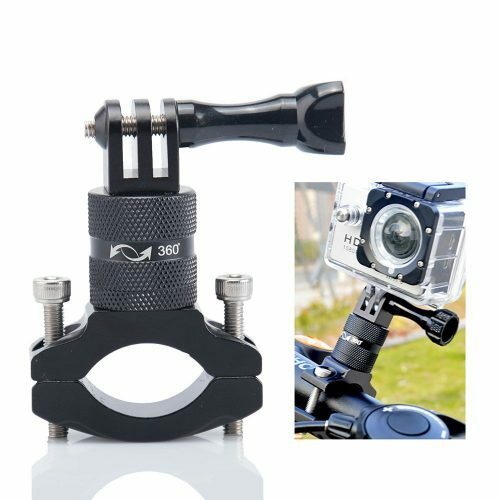 Compatible with most action cameras as well as all GoPro Cameras. They include GoPro Hero 5, 4, Session, 3+, 3, 2, 1 Cameras. You might also want to check out 10 Best Bicycle Headlights ! Koroao has managed to capture the interest of many. Based on the user satisfaction its reviews are great. Let me take you through its great features which consequently make it a fantastic product. Does not snap even in cold weather. Easily fit, and it is also quick to mount. Compatible with Garmin Edge scenes 25, 200, 500, 510, 520, 800, 810, 1000 GPS. Can be placed on bars hence easy to keep track of the road as well as the camera. Offers road rock solid, stiff and secure grip. You might also want to check out 10 Best GoPro Cases ! For those who prefer Arkon brand, your number one manufacturer has not let you down. Its design is made to precisely meet your needs. A GoPro Bike Mount that can be used for live streaming on the periscope. Can fit perfectly in either a motorbike or a bike whose handlebars are not greater than 33mm. Compatible with all GoPro Hero Cameras models. The list keeps getting even better it seems. 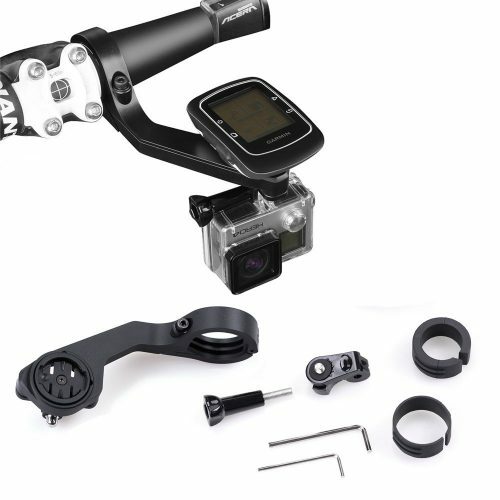 The high quality of the GoPro Bike Mount is just one of the many features that make this product an amazing one. Made of CNC aluminum rarely rusts and is also anti-corrosive. As easy as 123 when it comes to installation of the same. Compatible with GoPro HERO Action Cameras. Ideal when getting involved with action sports such as mountain biking, bicycling and motocross. Has an extensive use whether on handlebars or seat post. 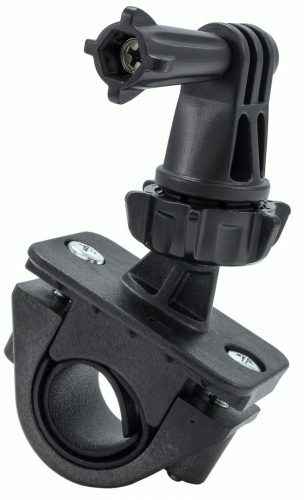 What makes this GoPro Bike Mount qualify to be among the best? 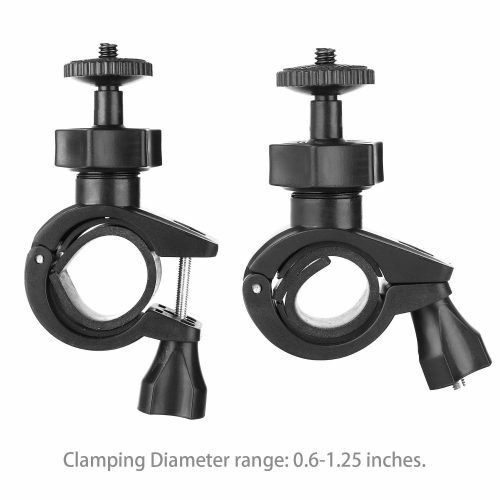 The wide range of mounting location and its rotating angle among other amazing features. 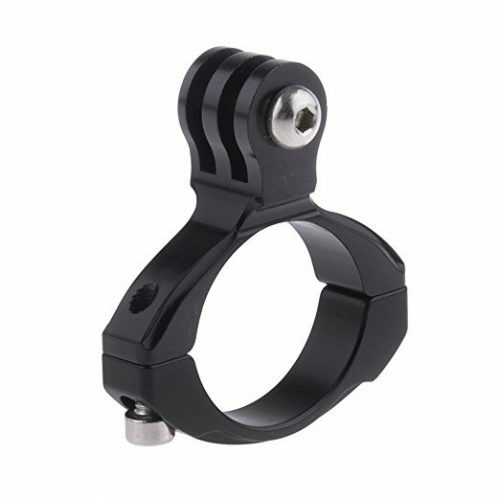 Suitable for a diameter on between 9mm and 35mm. Set up is fast because of the hinged and non-slip design. Rotation of up to 360 degrees to quickly adjust your camera to the position of choice. Great products have been recommended to you, and very little is left for you. You simply ponder on that and settle for a smart choice. Also, consider the activities that you will be involved with when using the GoPro bike mount.